We last had a moment with Robert Allen of DownTown Mystic in late 2015. 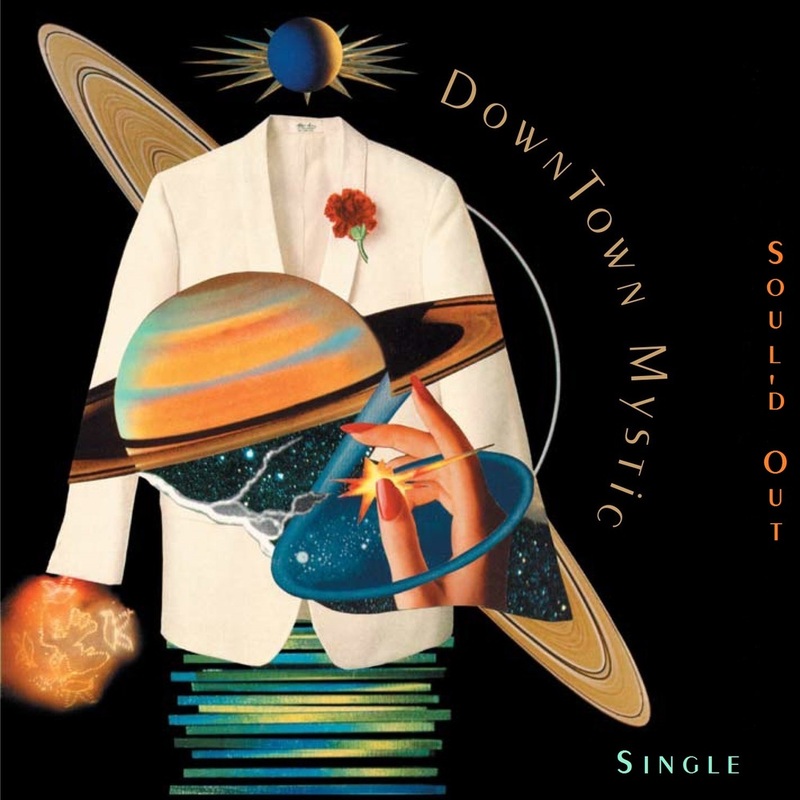 Over the course of the last 10 months, DownTown Mystic has released Rock’n’Roll Romantic. You’ve released a few singles/EPs in the last few years, but Rock’n’Roll Romantic is your first album since 2013’s self-titled release. What’s happened in your life in the intervening years? I made the album I always wanted to make with Rock’n’Roll Romantic. But in order to release it in the way that I wanted to, I needed to build up to it. The 2013 DownTown Mystic album was my 1st successful release at Americana Radio in the US. It got me more attention, including a #1 song and #3 album on one of the better known charts, which was not an expectation of mine. It was a very pleasant surprise and it allowed me to get more awareness for DownTown Mystic in the industry and with the public. I don’t think an artist can afford to put out an album every 2 or 3 years in this day and age without risking being forgotten. People have too many choices today. So I decided to get into promotion in a bigger way than I ever had done before. What major differences do you see between the songs on the two albums? The biggest difference is that I have a bunch of co-writers on Rock’n’Roll Romantic, instead of writing all the songs myself. Plus, the emotional tone of the songs is much more intense. Rock’n’Roll Romantic is about delving into what Rock’n’Roll Romance is about…the people involved and their relationships. So for much of Rock’n’Roll Romantic I’m singing songs about other people as if I was them! My life is nowhere near as screwed up as theirs (lol), so in a way, I’m acting when I sing these songs. But at the same time, I’m trying to convey the right amount of emotion that’s necessary to sing them and do them justice. How has your recording/production changed from 2013 to 2016? The recording process didn’t really change as much as the amount of people I recorded with. On DownTown Mystic I only recorded with 5 other musicians, as opposed to 14 on Rock’n’Roll Romantic. Now that I think of it, the recording process was different between the 2 albums (lol). With the 5 musicians, they were all given demos to listen to and create their parts. With Rock’n’Roll Romantic, it was just the opposite. No demos, just give me your best shot as a musician. I would just go over the song with a guitar and vocal and coach them on what I was looking for if they didn’t play it (lol). It was a great way to keep it fresh and at the same time challenge everyone to give it their best. You’ve released a single – And You Know Why – from the album already, but what efforts from the release do you feel are destined to be “deep cuts”? The reviews have been great so far and songs like And You Know Why, Turn Around and Go, Dead End Space, Brian Jones, Eyes of The World are among the ones that get pointed out. I think there will be another song added to that list when the cd comes out. I can’t talk about it because it’s a surprise (lol). You’ve been on record describing Rock’n’Roll Romantic as being oriented in a fashion similar to a vinyl record. How did you do that on a CD and digital format? Since I grew up listening to actual vinyl records, albums had a Side 1 and a Side 2 because there was only so much music that could physically fit on a side of vinyl. There were 4 songs that mattered more than the others—the first and last songs on each side. It was important to start each side with a great song, mainly for practical reasons, I suppose. You would have to get up and flip the record over to hear the other side, so there better be something to make you want to do that. Many albums became popular because Side 2 was the killer side, with the last song being the best on the album! That disappeared with the cd. So did the art of creating a great track listing. The concept of Rock’n’Roll Romantic made it imperative that I get the track listing right. Since I wanted to create a “classic rock’n’roll album”, I knew that I would be thinking in terms of Side 1 and Side 2. Side 1 had to be killer but both sides would have to work together as well as separately. Since the digital release would be the first one to be heard and reviewed, the songs all had to work in a particular order. The problem for me was the 1st song. Since all the other songs on what would be Side 1 had all been released as singles, I wanted to keep the 1st song a secret until the release. I knew it worked there but felt it would be better as the 1st song on Side 2, however, that would bury it on a digital release. Maybe that was why it took me so long to release the digital album, because I kept putting off the cd. For some reason, I decided not to release the cd and digital at the same time. Part of that was Radio. You need a cd to promote to terrestrial radio and I wasn’t ready for that because the DownTown Nashville EP is still getting airplay at Americana Radio. But to your question, now that I have to put out the cd, I’ve decided to change the track listing to better suit the cd format and improve the album concept in a way that wasn’t possible a few months ago. The track listing will work great on cd as well as vinyl. Can you explain the role of The Beatles and the Beach Boys in your music and on Rock’n’Roll Romantic specifically? Now there’s an insightful question! Nice one, James. (lol) I think it’s easy to see The Beatles influence in my music, but the Beach Boys are rarely picked up on. On Rock’n’Roll Romantic, the one song that shows the influence of both groups is Soul’d Out. Instrumentally and production wise, it’s The Beatles all the way. But vocally it’s the Beach Boys, more specifically, Brian Wilson. There’s only 2-part harmony on the song but I was consciously thinking about Brian Wilson and how he used phrasing in his vocals. The artistry he used when singing was something I tried to be very mindful of in my vocal. Soul’d Out is probably the most challenging of all the songs to sing, with And You Know Why a close second, because of the length of the lines in the lyrics. Breath control is crucial. Not the type of song I’m naturally comfortable with. I would love to hear someone like Adele or Sam Smith sing it because I think it’s more in their wheelhouse. People may have heard your music on television; what sort of shows have DownTown Mystic’s music been featured on? The biggest show would be The Voice on NBC. I think it’s been on there 6 times, including a live finale. There are a few shows on MTV like Extreme Cribs. The show that has used my music the most is American Pickers on the History Channel with 25 shows. Overall, my music is on over 100 TV shows, which has really helped in the branding of DownTown Mystic. Who’s the set of guest stars that contribute to the overall sound of the album this time out? The set of musicians on Rock’n’Roll Romantic are some of the best around. I’m so blessed to have had the chance to play with these guys. The 2 biggest names would be Max Weinberg and Garry Tallent from Springsteen’s E Street Band. I put out the digital EP DownTown Mystic on E Street last year, which was a big success. I’m including 3 of those tracks on the new cd. Then there’s drummer Steve Holley, who was the last official drummer for Paul McCartney and Wings. 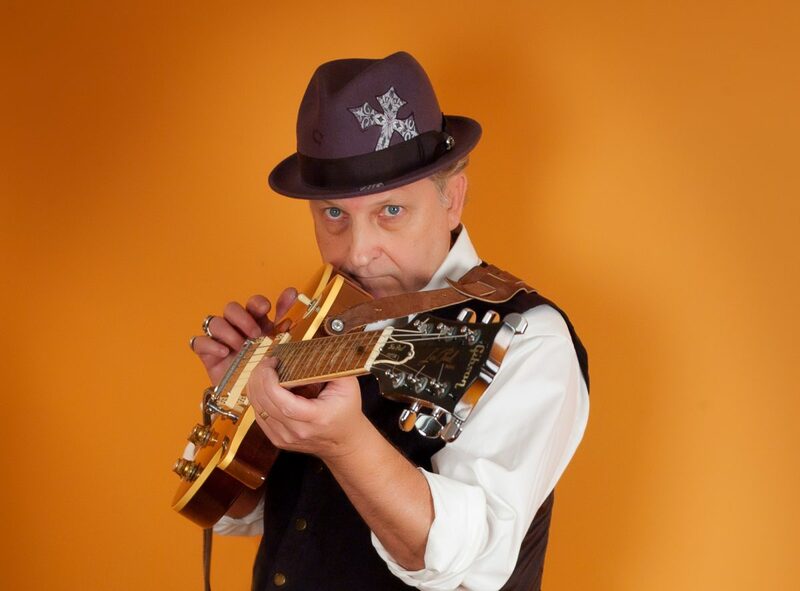 He’s played with a veritable who’s who of RnR like Elton John, Joe Cocker and Ian Hunter, to name just a few. He’s joined by bass player Paul Page in Ian Hunter’s Rant Band. Paul was also Dion’s bass player for many years. Then there’s Steve Brown and PJ Farley of Trixter fame. There’s a whole bunch of talented people from New Jersey that I’ve worked with over the years also contributing their talents like Bruce Engler. We’ve written some songs together and I co-produced his Go Back album a few years back. Finally, do you have any concluding thoughts for our readers at NeuFutur? I hope that they will get a chance to listen to and experience Rock’n’Roll Romantic, particularly if they are fans of rock’n’roll. Everything is cyclical and I think that rock’n’roll will be making a comeback. I’m hearing it more and more out there. I hope this release will be a big part of it and I hope your readers will help spread the word. Thank you as always for your time, Robert. Rock’n’Roll Romantic is available from iTunes and Amazon. 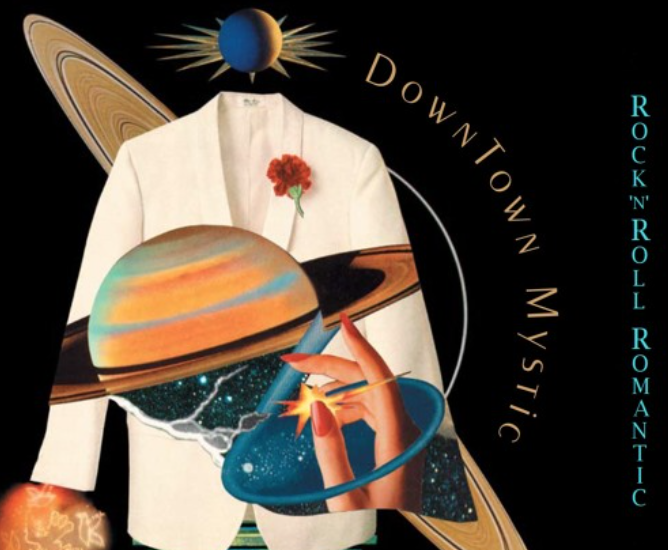 We’ve been lucky enough to interview DownTown Mystic in April of last year. In the 18 (or so) months since then, what has changed for DownTown Mystic?